Crafted of durable, high quality, easy to clean. Brush metal body with detachable oval glass base for table top setups. Pre-made holes in the back for wall mounted setups. 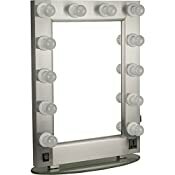 Twelve LED bulbs Hollywood vanity layout provides perfect brightness for makeup application. 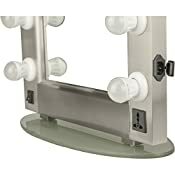 Front mounted power outlets for charges and beauty accessories. 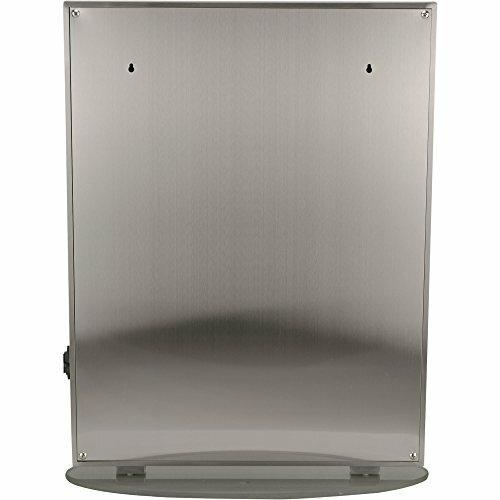 Overall dimension: 19.5" x 1.5" x 26.5"
Overall dimension: 19.5" x 1.5" x 26.25"